Rainbow member Hyunyoung revealed that “Eye Contact” is not about her boyfriend Clazziquai’s Alex. When the members have revealed that their maknae Hyunyoung had written a song which was included in their album, Hyunyoung then goes to reveal what it was about. Listen to Rainbow’s “Eye Contact” below! What are your thoughts on Rainbow’s comeback? 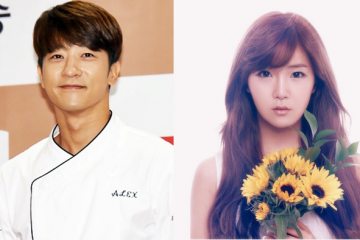 Alex and Hyunyoung confirmed to be dating! Clazziquai’s Alex and Rainbow’s Hyunyoung revealed to be a couple!